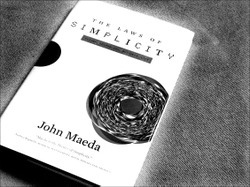 - Presentations and the "Laws of Simplicity"
I just finished reading the brilliant 100 page manifesto, 'The Laws of Simplicity' by MIT's John Maeda. In short, sharply focused bursts he shows how and why getting back to basics allows for more creativity to flow. 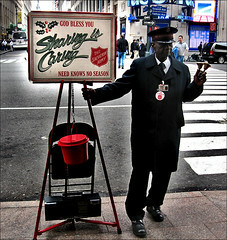 On the train between NY and Washington, I was amazed, enthralled, and amused; and I think I learned something too! This book should be read by everyone, whether you are in technology, business, art, or journalism. In fact, this book is the perfect companion to another classic, Mario Garcia's 'Pure Design' (buy it here); the two are perfect touchstones for the new millennium.